Heart of Darkness author Joseph Conrad (born Jozef Teodor Konrad Korzeniowski in 1857) was a Polish writer who learned to read, write, and speak English after he was granted British nationality in 1886. Although his peers accepted him as a British gentleman, he never forgot where he came from. In fact, the history of his native land of Poland often inspired the short stories and novels he penned. Those details, along with the experience he'd had since moving to Great Britain, found their way into many of his published works. 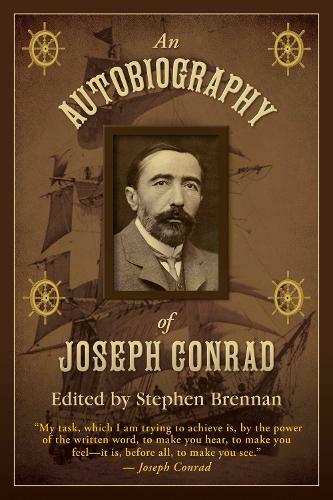 In An Autobiography of Joseph Conrad, editor Stephen Brennan has selected pieces from some of Conrad's better known nonfiction works including The Mirror of the Sea (1906) and A Personal Record (1912) to showcase some of the more exciting and trying times in the novelist's life. Readers will attend school with Conrad in Russian Poland, sail with him in Marseille, and meet family members who took part in his upbringing, such as Uncle Tadeusz. Portraits of Conrad throughout the years, in addition to photos of his town, home, and family, supplement the text and help readers envision the author and his surroundings during various stages in his life.